After doing a little bit of "make over" to our kitchen and dining, we've done our best to have our dirty kitchen reorganized, as well. Yes, you heard it right, tidying up our "dirty kitchen" (lol). Well dirty kitchen used be name like that as this is the place where we do most of the dirty jobs at home. This is where I cook the more complicated dishes that requires a lot of cutting, shredding, mixing and pounding. 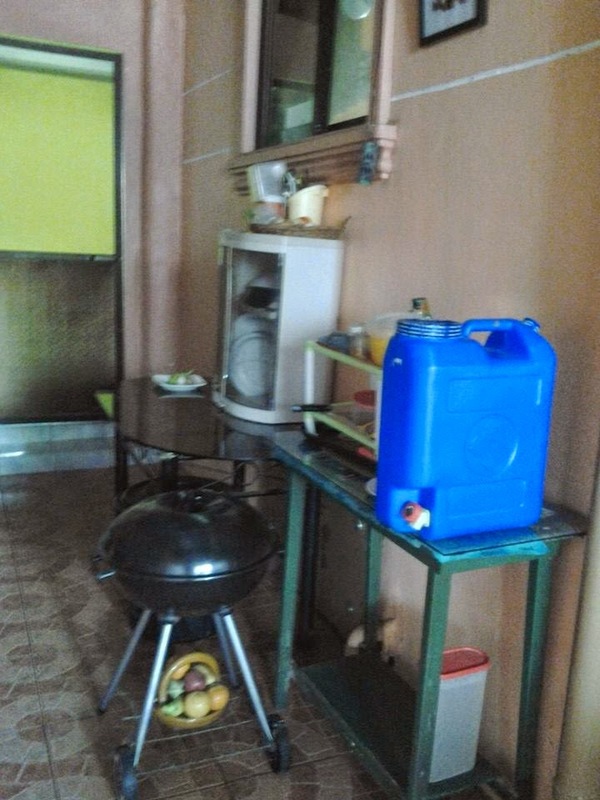 I just used our main kitchen for simple to do dishes like soups and for making snacks, salads or sandwiches. In that case, I could save a lot of time cleaning and tidying up as I just need to concentrate on cleaning one space whenever I used our dirty kitchen for heavy cooking. I have two sinks in the dirty kitchen so cleaning and washing the dishes is not really a problem as two persons could use both sinks at the same time. It saves us a lot of time and speed up the job. I'm basically a sink lover and you could find quite a lot in our home. There is a sink everywhere! 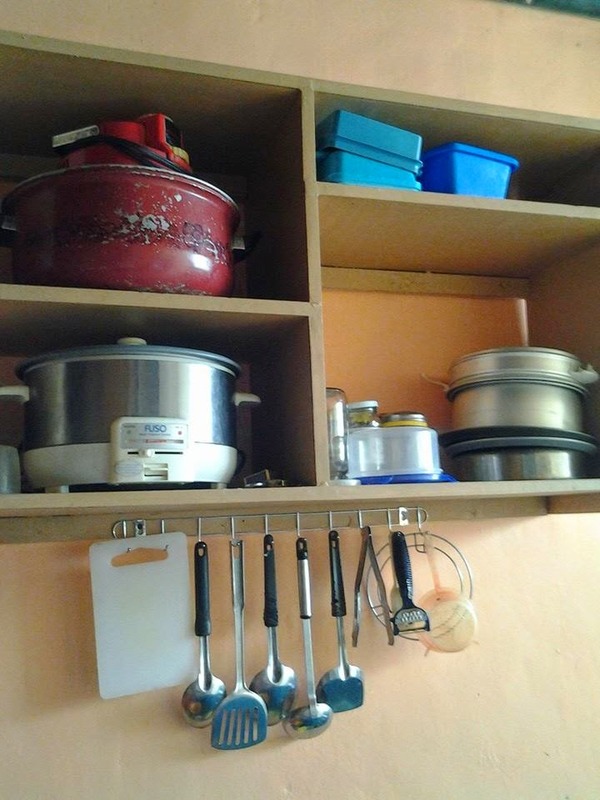 I don't have a hanging cabinet in the dirty kitchen before so we've decided to make one this time just to store the other kitchen stuff that can't be accommodated in our main kitchen. 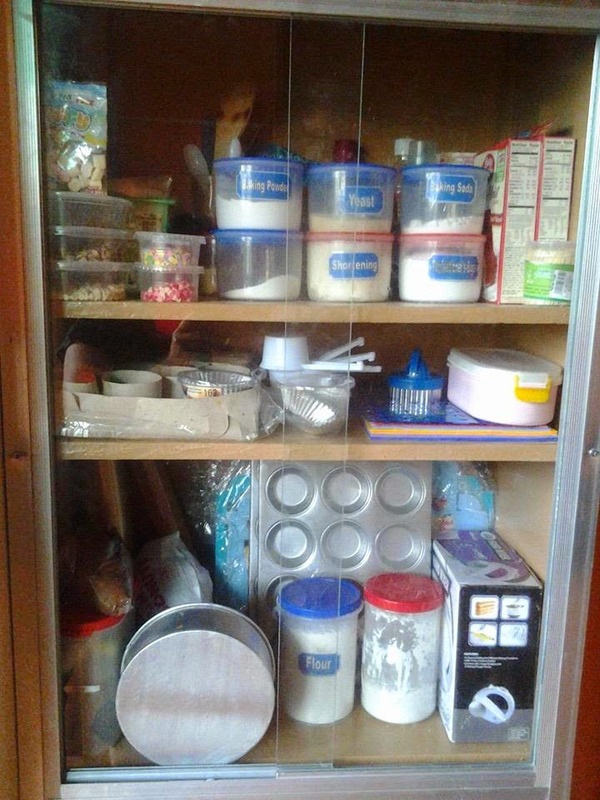 I had my baking pantry organized, as well. 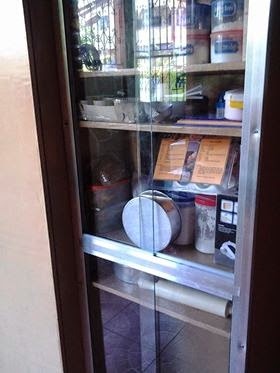 I requested hubby to transform one built in cabinet into open shelves with sliding glass doors so I could see my baking stuff in full view. 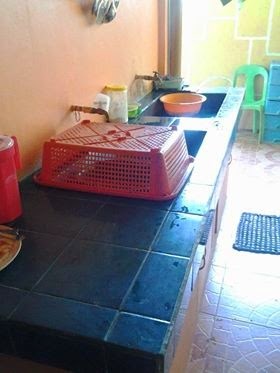 Yes, dirty kitchen is sometimes one of the most neglected part of the house but for me it should also be clean, neat and organized.